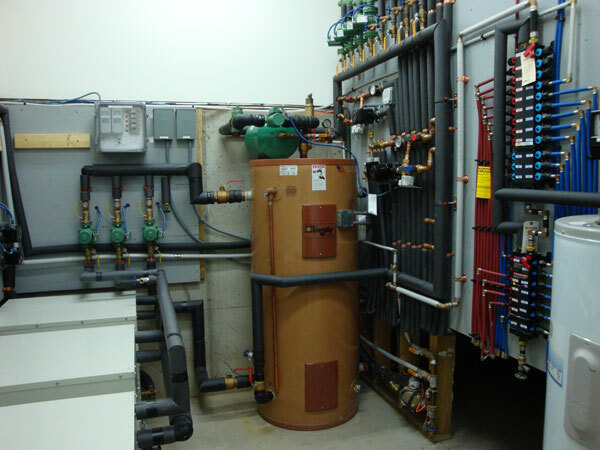 Water-to-Water Left Side View: This shows a Geothermal system connect to a hot water tank. 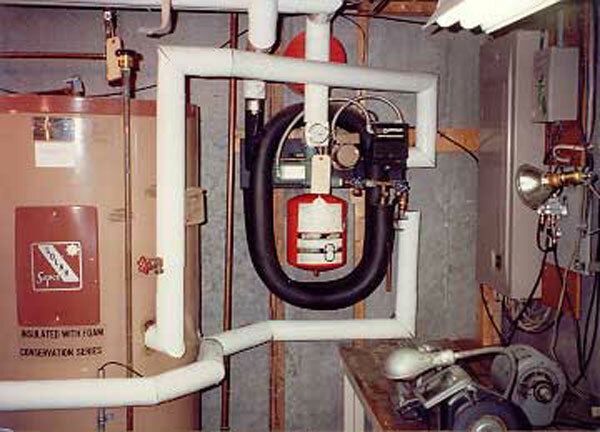 Water-to-Water Right Side View: This shows the hot water tank connections to the Radiant Heat plumbing. 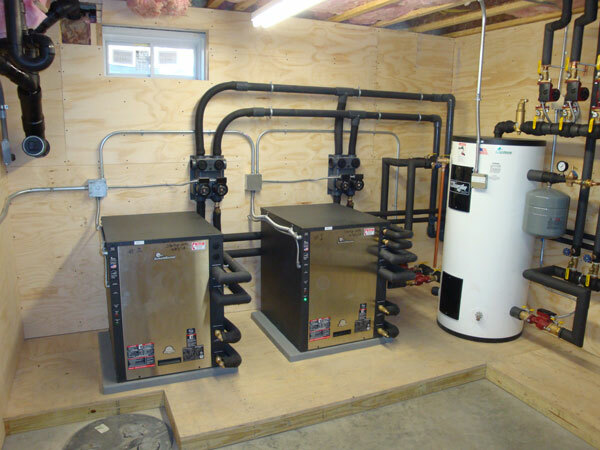 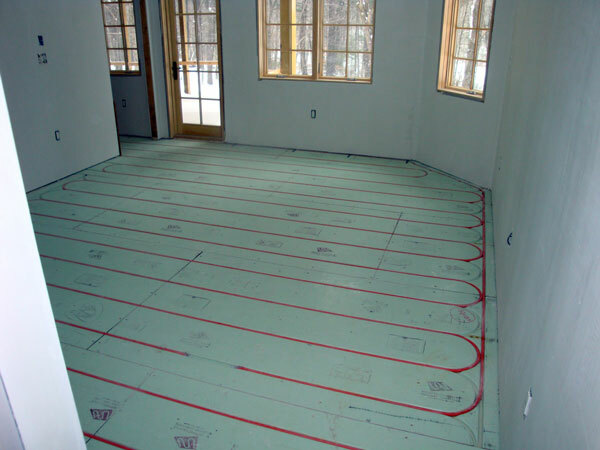 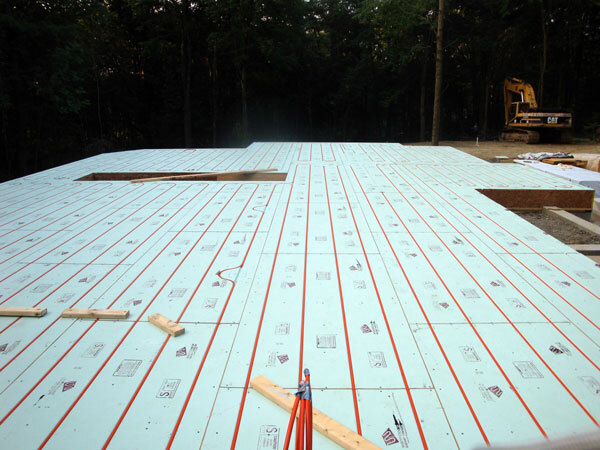 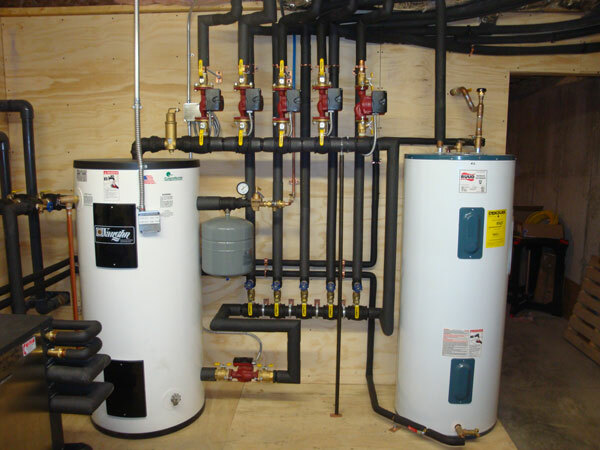 Before the house gets started, Radiant Heat plumbing is added to the foundation. 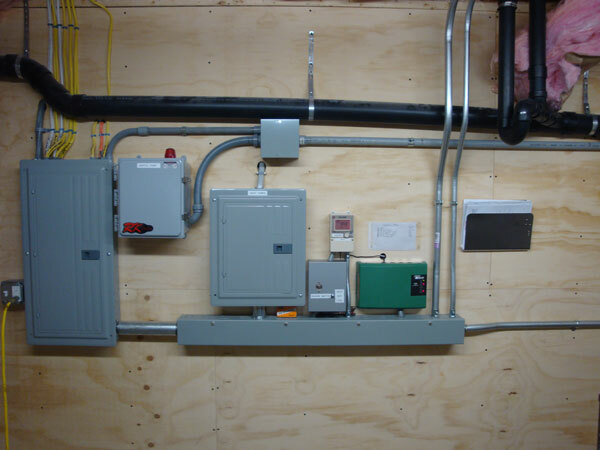 Individual lines are connected to the main system. 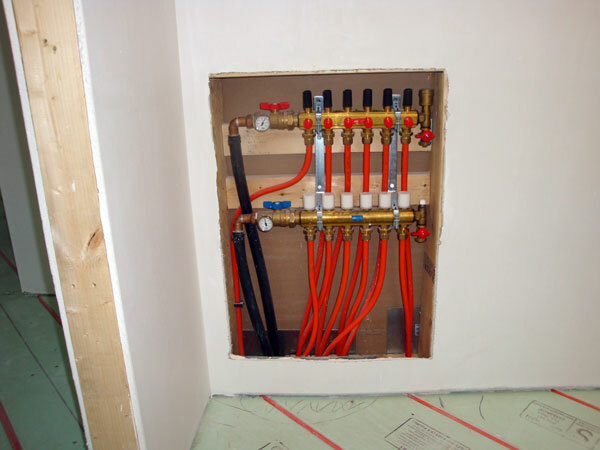 The plumbing can fit any room design. 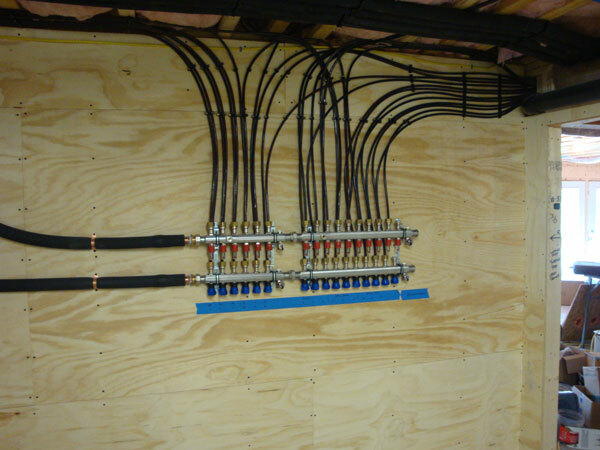 More individual lines connecting to a main system. 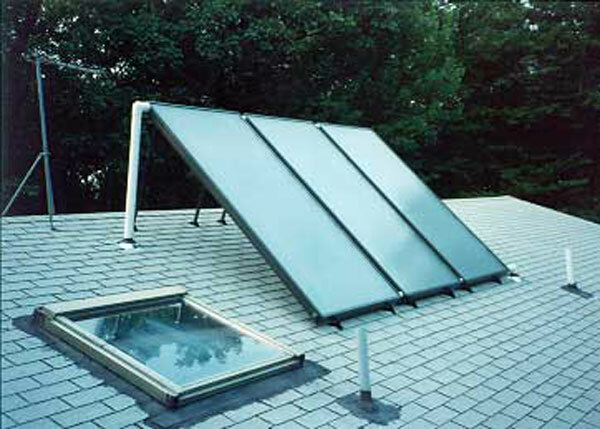 Solar Collector Panels for domestic hot water. 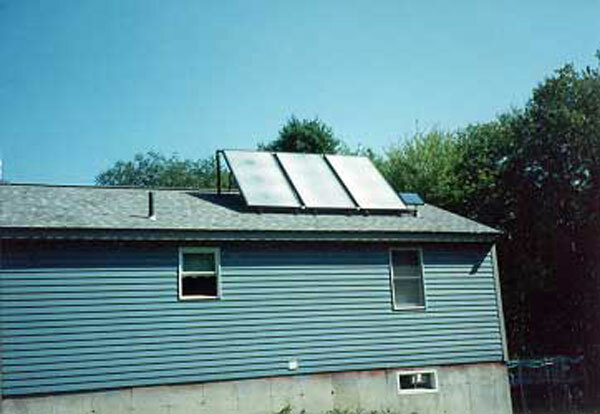 A close up of roof mounted Solar Collector Panels. 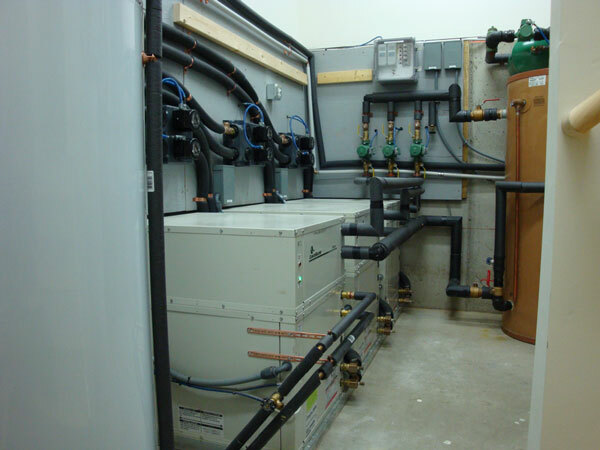 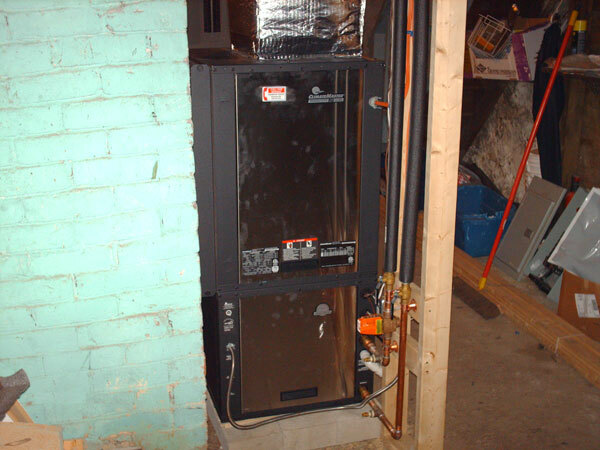 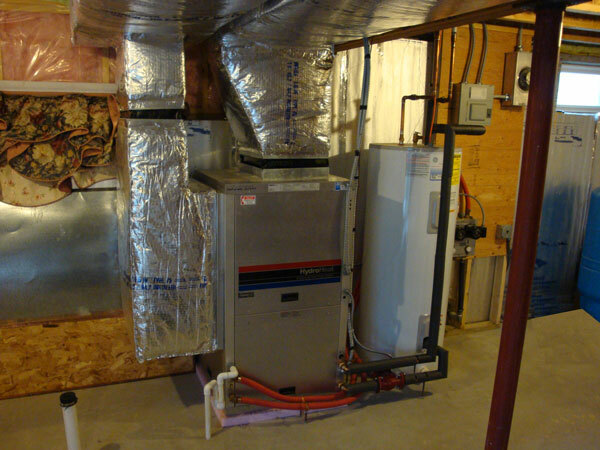 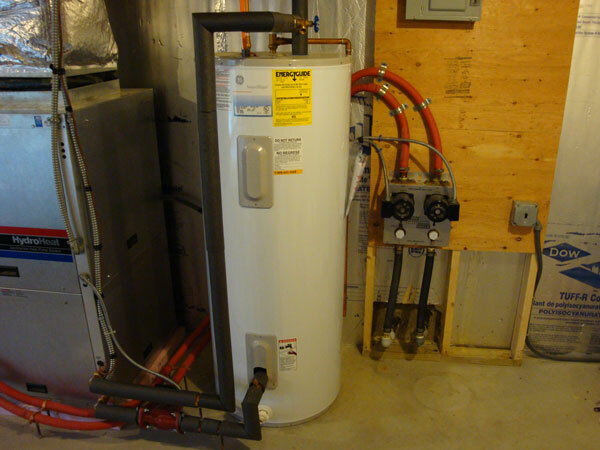 The connection of Solar Collector Panels to a domestic hot water tank.